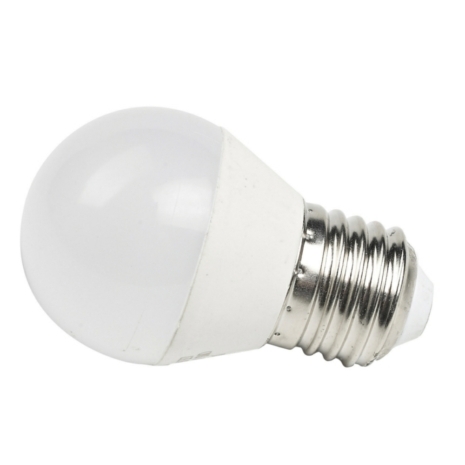 These high quality Energy Saving Golf Ball Lamps are designed for domestic and commercial lighting and are a direct replacement for existing halogen bulbs. 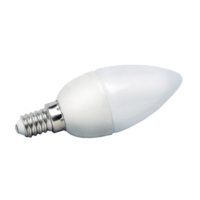 The frosted Golf Ball Lamp is shaped for use in nearly all lamp shapes, chandeliers or wall lights. 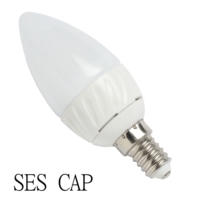 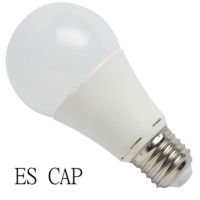 This Energy Saving LED Bulb uses only 5 Watts, giving out 450 lumens in a very warm white colour. The bulbs are designed to reduce your energy consumption by up to 90% with an extremely long life of 3000hrs.